With more than 400 guests in attendance, the Digestive Health Foundation at Northwestern Medicine recently hosted its third annual Gala to benefit patients at the Northwestern Medicine Digestive Health Center. The Gala raised a remarkable $2.41 million toward helping to transform digestive disease into digestive health. In addition to benefiting the clinical, research and educational efforts of the Digestive Health Center, the Gala honored Steven J. Stryker, MD, a colon and rectal surgeon at Northwestern Memorial Hospital and professor of Clinical Surgery at Northwestern University Feinberg School of Medicine, as well as his wife Andréa J. Schwartz, vice president of Media Relations for Macy’s, U.S. 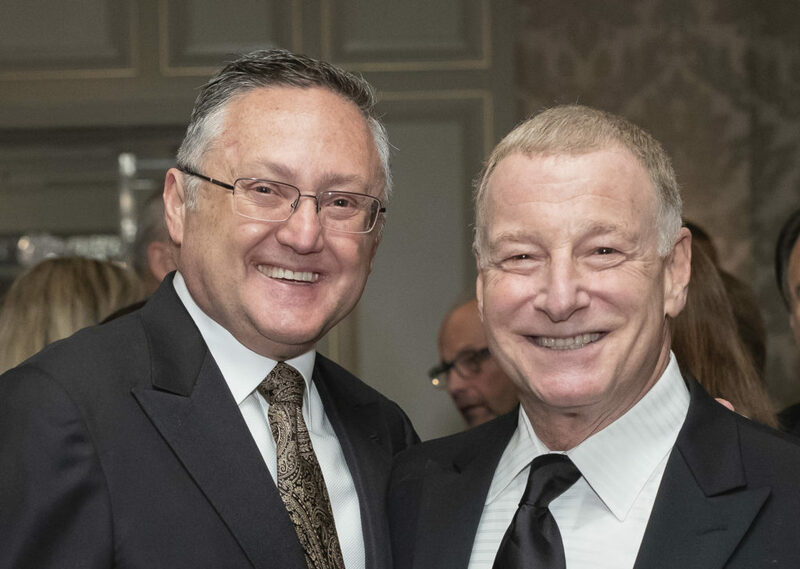 The evening featured the announcement of the creation of the “Steven J. Stryker Gastrointestinal Surgery, Education and Research Endowment,” which was recently established through a generous donation of $1 million from Mrs. Judith Blazer. The 2018 Gala brought the total amount of funds raised by DHF, since the foundation’s inception in 2015, to more than $6 million. In just three years’ time, DHF has funded 30 pivotal, ongoing research initiatives, including the Digestive Health Foundation BioRepository, a tissue bank designed to support global research into digestive diseases and other medical disorders; two endowments, including the endowment recently established in honor of Dr. Stryker; and two specialized physician fellowships, through the Digestive Health Foundation Grant Awards program.